This district consists of several artificial islands interconnected by beautiful bridges. 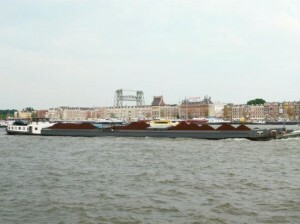 The historic location of Dutch shipping companies has become the biggest post-war building project in Amsterdam (IJ River). With approximately 8.500 new homes, the area offers comfortable housing in an up-market neighbourhood close to the ring and city centre. The Java and KNSM islands (which are in fact one island) are newly developed residential areas where the old docks and shipping companies used to be based. The area is known internationally for its superb and diverse architecture and is popular among young professionals. It offers quiet, suburban apartments very close to the city centre. Moreover, there are many trendy restaurants and cafés, design shops, and sports facilities such as fitness, yoga and sailing classes available. Located just across the island’s bridge is a shopping centre with two large supermarkets, two banks, a chemist, and a number of other shops. Thanks to the quick and easy public transport facilities, the city centre can be reached within 10 minutes. Zeeburg is a modern, trendy neighbourhood to the east of Central Station. This area is characterised by its famous architecture, views on the river, and a dynamic social scene. This area has its own restaurants, bars, and local shops. If this does not suit you, find out more about other neighbourhoods in Amsterdam.